This will be the first time Wal-Mart will actually carry a Linux PC IN their stores. This is great news. The latest poll in NH has Romney at 32%, Giuliani at 22%, and McCain at 15%. UPDATE: All is safe where I am now. So far, over 1,000 homes have been destroyed throughout the San Diego area from the fires this week, with 35 homes lost in Rancho Santa Fe (where I live). As you can see from this map of homes lost in Rancho Santa Fe, the wind stopped in the nick of time. The homes caught fire from the north east, heading south west. The last home lost in RSF was one block from my home. I was very fortunate. Thank you to everyone who called to make sure I was OK. Many friends and family members have contacted me to find out if I'm OK. So far, over 350,000 homes have been evacuated, and over 1,000 destroyed. On Monday morning, around 10 AM, I received a "reverse 911" call at my home in Rancho Santa Fe, telling me I needed to immediately evacuate, as the fires were approaching. I proceeded to prepare my SUV with all the essentials, but stayed in my house. Throughout the day I kept an eye on the news and would hourly look out all the windows from my top floor. It was obvious most people had left Rancho Santa Fe. Around 10 PM, I could see the flames off in the distance, and it was clear they were getting closer, so I decided it was time to leave. I drove to our church's evacuation site, and Toby (my dog) and I spent the night there with about 100 others. I awoke early this morning, around 5:30 AM. There are about three different ways to get to my house, so I decided to get in my SUV and survey things. I tried all three routes into my neighborhood, and all had police road blocks, preventing me from entering the area. From one of the road blocks you could see the fire burning the hillside (just north of San Dieguito Road), not far from my house (at the intersection of Camino Del Sur and San Dieguito Road). Around 6:00 I was able to take a hidden back road to get to my home. All was well with my house and my 14-home subdivision. Again, I have a sense I'm the only one here. For now, I am going to stay in the home and keep a close eye on things, again, ready to leave in a moments notice if needs be. I'm hopeful, however, that things will start to be contained soon. I'll keep you posted. Winds are mild here, but feel like they are picking up. This map shows where my home is located, the fire area as of early this morning (and how close it got/is), along with the mandatory and advisory evacuation areas. Click image to enlarge. So far, over 1,000 homes had been destroyed by the San Diego fires. Here is a Google Map I set up that shows my house and those homes in RSF which are close by, as reported destroyed on TV, so far. (Click on each marker to see the number of homes destroyed and their addresses. My home is the marker in the lower left side.) As you can see, a little close for comfort. For a list of all destroyed homes, county wide, as verified by New 8, go here. When I was CEO for Linspire, I tried to install and look at most of the popular distributions each time they had a significant release. I can still remember the very first time I installed Ubuntu, about three years ago. It was their first release, "Warty Warthog," in October of 2004. There was a lot of buzz about Ubuntu, largely due to its wealthy founder, Mark Shuttleworth, who at the time was best known for his Russian space flight. 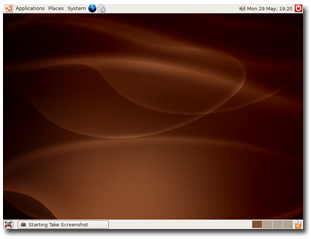 Other than this buzz about Mark, however, there was little else to set Ubuntu apart from the dozens of other distributions out at that time. I always looked at the latest distros from Red Hat, SuSE/Novell, Mandriva/Mandrake, and a few others. The only reasons I took a look at Ubuntu, however, was from the Shuttleworth buzz. My impression at that time was, well, unimpressed. I found Ubuntu quite "geeky" and not very noteworthy from the other Debian distros. Over the three years that followed, I watched as Ubuntu grew, making a lot of wise decisions (strong community focus, consistent 6-month release cycles, strong single-focus leadership from Mark, etc.). For Linspire, when it came to Ubuntu, the last three years were the classic "ignore, endure, embrace." We "ignored" Warty Warthog, because technically, it was far behind Linspire. However, in just one short year, we were trying to "endure" Ubuntu's success with things like the DCC Alliance and our own "free" distribution, Freespire. And then, one more short year later, we were "embracing" Ubuntu, forming a partnership with them, and basing both Linspire and Freespire on Ubuntu's core technology. At that time, one year ago, Linspire still had, I believe, three big advantages over Ubuntu: 1) ease of use, 2) CNR (click and run) one-click software installation, and 3) better multi-media and hardware support through a judicious mix of proprietary codecs, drivers and software. I have to say that today, however, those three Linspire advantages are now, for the most part, gone. Ubuntu 7.10 is without doubt, the best desktop Linux distribution yet. As one who has never been a big fan of long, in-depth, blow-by-blow, "techie" reviews, I'm going to focus at a high level, and share why I believe Ubuntu 7.10 succeeds, even with the three advantages Linspire use to have, mentioned above. Ubuntu 7.10 can be installed in about 20 minutes. 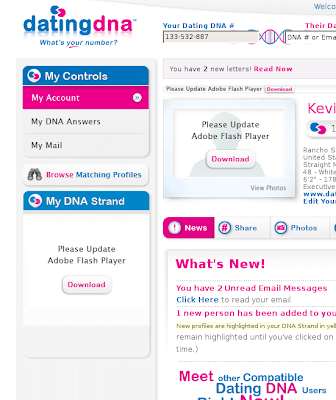 Even slicker, is how it updates from previous versions. At Linspire it seemed to be our endless goal to have a good way of updating from one version to the next, but we never quite got there. We got close, with some data migration during install, but you still had to update with a CD. Updating with CNR never did have much success, and was always a little buggy. As I said, we got close, but...Ubuntu 7.10 nails it. Installing from scratch or updating via their built-in Update Manager, finding your way to Ubuntu is a snap, and keeping it updated is one-click easy. In all the years I was at Linspire, I never bothered with partitioning the drive, as we never made it very easy or stable. The first time I ever actually partitioned a hard drive with Linux was this weekend with Ubuntu 7.10. I wanted to have two partitions, so I could have both Ubuntu and Kubuntu on my PC. Because Ubuntu incorporates the partitioning right inside the install process, and makes it easy to do, it was a snap and worked flawlessly. I was able to do pretty much everything I wanted without having to visit forums or knowledge bases. Setting up a network printer, changing monitor drivers, resolution and settings, connecting to an FTP site, and sharing files across my home network were all very easy to do, and would be for even the most basic computer user. I have yet to go to the command line for anything. Having worked for the past six years to make desktop Linux super easy to use, I congratulate Ubuntu on their significant progress in this area. 2. Installing New Software - Better than CNR! This is the one area I would have never imaged I would ever be saying. For Ubuntu users, I see no need to use CNR, and this realization really surprised me when I started running Ubuntu. As good as Ubuntu had become, I would have never believed it would also surpass CNR for adding and removing software, but it has. Like CNR, Ubuntu 7.10 does an excellent job of hiding all the complexity of installing, removing, managing, and updating Linux software on your PC. Even a total novice will be able to add thousands of software titles with ease. At the bottom of their drop down applications menu, they have a Add/Remove... option. Selecting this option presents you with a very CNR-like, easy-to-use client, where you can search from among thousands of software titles, and then add them with a couple of simple clicks of your mouse. 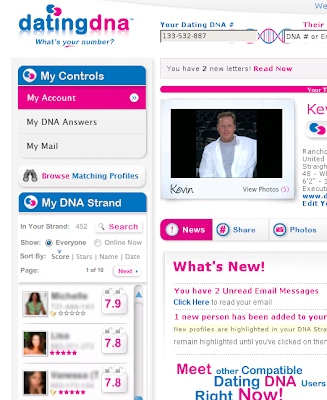 The programs are laid out logically by category, or you can find them with the quick search, built right into the client. 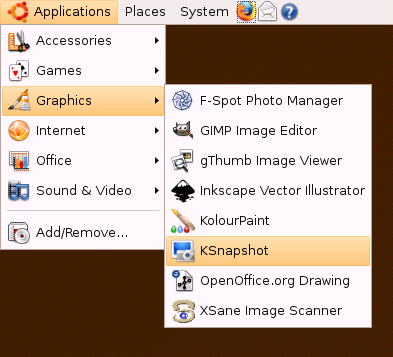 Everything I wanted to add was easily found and installed, such as Thunderbird, and even KDE applications which I like such as Kompozer, Ksnapshot and KoulorPaint. Once the installation is complete, the program is added nicely and logically in your Applications Menu. CNR.com does have a more robust infrustructure for community involvement with reviews, screenshots, mini wikis and forums, which are linked directly into CNR. CNR also has "aisles" which let you create compilations of your favorite applications and install them all with one click. I have to believe Ubuntu will eventually offer similar functionality, and with their large community, I predict it will be very active and garnish a tremendous amount of valuable content. There were also a couple of programs I didn't see in any of the repositories, such as Adobe's Acrobat Reader and Limewire. As I mention in #3 below, I'm hopeful this is something Ubuntu will be addressing as OPTIONS for those who are interested in licensed software. The nice thing about Ubuntu's application manager, is it WORKS. 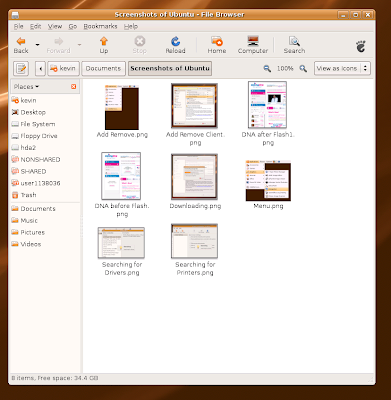 Functionally, it's a superior system to CNR for Ubuntu users. It's very easy to use, comes pre-loaded and integrated, is chuck full of the latest and greatest software, and works fast and reliably. It just feels like a very well thought out and implemented system. I was extremely impressed. One of the first things I did when running Ubuntu's application manager, was to turn on the "partner" repository setting. This allows a wider variety of software to be installed on your Ubuntu system, although not guaranteed to be supported. I believe this is one area Ubuntu (or Canonical really) should address immediately. Linspire legally licensed dozens of these same drivers, codecs and applications. There is no reason Ubuntu (or Canonical) couldn't do the same and make them available AS AN OPTION to those who feel they need them. Many businesses and enterprise customers will be particularly adverse to running DVD, etc. if it's not licensed. Many of these licensed bits and pieces can be obtained at no per-unit cost, and I'm quite confident many users, such as myself, would be more than happy to pay fair and reasonable licensing costs for these products. I know some FOSS purists will bristle at this, but if Ubuntu is to find its way into the mainstream, this option needs to be there. OEMs too will want to include DVD software, for example, but most are not going to want to take risks with any gray licensing areas. One of the nice things with Linspire, is out of the box, it would deal with all the file types found at http://linspire.com/filetypes. In days gone by, when I had tested Ubuntu by clicking on the different links from Linspire's /filetypes page, it was a bloodbath, and hardly anything worked. Today, about half of the links work without installing anything additional, and almost all of them work once you've installed the "extras" package. So, as we see, we know that technically the problem is well in hand, they just need to get some licensing in place for those who are interested in that option. If Ubuntu can get some optional licensing in place, which I have to believe they are working on (again, as an OPTION for users), they will lick the Multi-media issue for those who still need certain licensed codecs and drivers, until good, reliable open source alternatives can be developed. 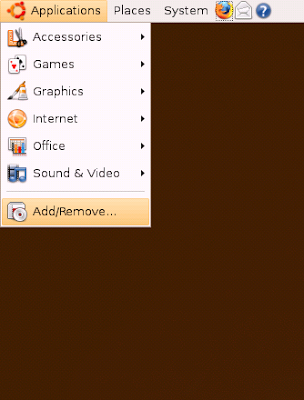 Ubuntu is doing a lot of things right, and is really taking desktop Linux to the next level. It's certainly not perfect yet, but it's the best distribution for me, and I'm sure for many like me. I look forward to being part of the Ubuntu community and making suggestions as to how it can become even better still. Part of the reasons Ubuntu is so good, is because it has so many millions of people using it, all providing testing, input and suggestions. That alone will help set Ubuntu apart from the less popular distributions. Of course, there are many quality Linux distributions, and they all benefit from each other. Over the years, Linspire contributed a great deal to FOSS. I take pride when I see features that Linspire contributed to FOSS, which I'm now enjoying as I run Ubuntu. (There are many, but one of my favorite Linspire FOSS contributions is the on-the-fly spell checking in Firefox. Every time you see that red underline beneath a misspelled word when you're making a forum post, think of Linspire! =) Nvu (now Kompozer) is another project funded by Linspire, which I'd like to see continued. Mark Shuttleworth has done a wonderful job with Ubuntu. His ability to rally a strong community, his focused leadership, as well as his deep pockets =), are quite evident in the quality of the Ubuntu distribution. Kudos to a job well done! For the last 15 years or so, I've enjoyed running to help stay healthy. Presently, I live in Rancho Santa Fe, CA, and run a few miles in my neighborhood three days a week. This past week, I had something happen to me while on my run that I've never had happen in all my years of running. Just down the road from my home is the Horizon Christian Fellowship church and school. On my runs for the past year or so, I've included running around the parking lot of Horizons. (Click here to get a satellite view of my running path and where the Horizon Christian Fellowship church and school are located along my run.) This week, while running through the parking lot of this "Christian fellowship," I was stopped by a man who worked at Horizon's who asked me if I ran there often. I told him I was a neighbor and ran three days a week, and sometimes took this route. He said I was not welcome to run through their parking lot, and if I did, he would call the police and file charges! He said it was "against the law" for me to run next to a school, and there was nothing he could do about it (a complete lie, because Horizon is a private church and school, and of course there is no "law" preventing them from allowing neighbors to run through their parking lot.) I talked to another neighbor who told me that he too was stopped when jogging there and given the same stern warning from Horizon's Head Master. I've been a Christian my whole life, and I'm glad the church I go to ENCOURAGES staying physically fit, and would welcome any and all to use their property to stay fit and healthy. Shame on the Horizon Christian Fellowship for telling lies, being bad Christians, bad neighbors, and poor advocates of good health. Maybe next time I run through their parking lot, I'll bring along a video camera, tape them calling the police, and post it on You Tube. If I'm lucky, maybe they'll use a taser gun on me! Hopefully the good people at Horizon will step up and see this policy gets changed. I've emailed several staff there with my story, and so far, none have replied. PS: I just noticed Horizon's is having Dinesh D'Souza speak there. I met Mr. D'Souza when I sat on a jury here in San Diego where he was found guilty of not paying a large bill to his lawyer.